One of the biggest hits with Lynette’s two boys was the game room. The fully appointed game room has table games, classic arcade games, and more. There are also bunk beds in the room so, when the kids tired of all the excitement, they could crawl right into bed. This is one of the features that people often ask what it has to do with enjoying the outdoors. But as Lynette explained, it keeps active kids occupied and allows mom and dad to enjoy the peace of the mountains. While the kids were occupied having fun, Lynette could kick back and relax in the hot tub. Our tubs, with adjustable temperatures, are a big hit with active families like Lynette’s. 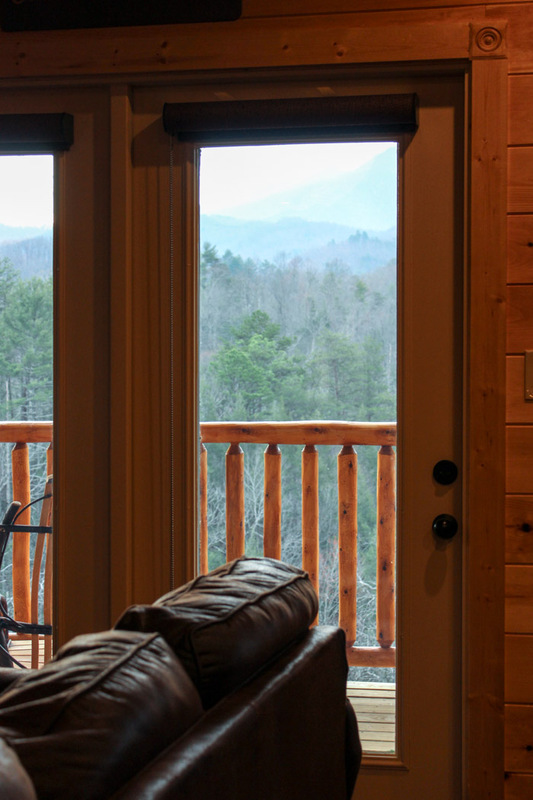 After a long day of being on their feet exploring the Gatlinburg area, everyone could soak their muscle aches away right in the comfort of their own cabin. Lynette didn’t expect to come across an in-cabin movie room, but she was pleased to see it. The cabin’s movie room features a widescreen TV, soft and comfortable leather recliners, and surround sound. This let them have the complete movie theater experience for flicks like The Lion King and Star Wars without having to leave their cabin. With two energetic kids in tow, Lynette went looking for child-friendly activities that her whole family could enjoy. Our resort is located conveniently close to a wide variety of activities in Gatlinburg and Pigeon Forge. Here are some of the highlights of her trip. Lynette is a big time Dolly Parton fan. She loved catching the shows at Dollywood and her boys enjoyed the theme park rides, especially the roller coaster. In fact, the family had so much fun that they spent an entire day at the park. Lynette and her family decided to stretch their legs on a short hike. The Gatlinburg Visitor’s Center suggested they visit nearby Cataract Falls. This turned out to be an easy hike that the kids had no trouble with. In fact, everyone had enough energy left over that they took a longer trail to the John Ownby cabin, too. One night, Lynette and her family decided to grab dinner at local restaurant Three Jimmys. They got their choice of burgers to go and enjoyed this tasty feast while catching a flick in their cabin’s movie room. We loved hearing from Lynette and how she and her family enjoyed their stay at our cabins. Interested in her full account, including some adorable photos of her family at various attractions? You can find them here: Our Trip to Gatlinburg + Gatlinburg Falls Resort.